To celebrate Nikon’s 100th anniversary, Nikon in South Africa is giving away a Nikon D750 full frame DSLR to one lucky photographer! 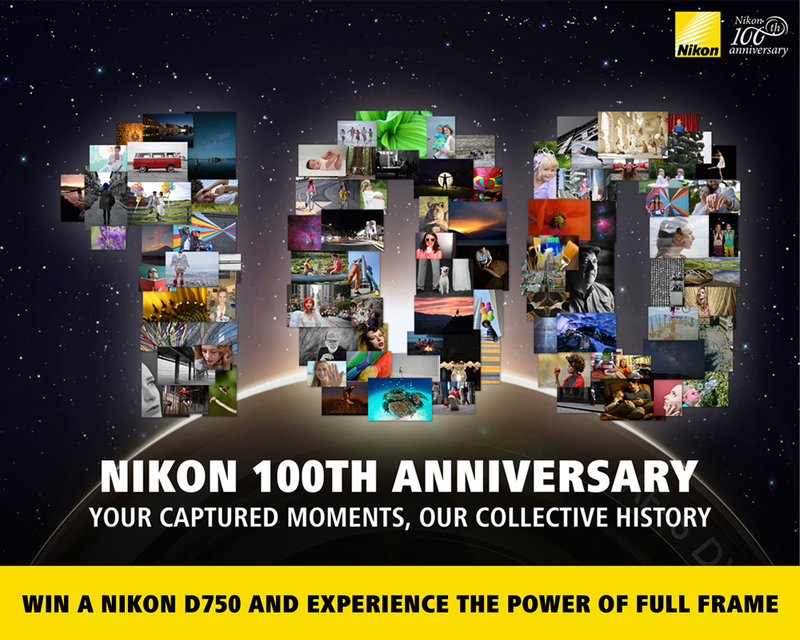 The most creative “Happy 100th Anniversary” message will win a Nikon D750 DSLR body. The competition will commence on Monday, 24 July 2017 and will close on Friday, 4 August 2017 at 12h00 midday (“the competition period”). The winner will be announced on 7 August 2017 on the Nikon South Africa Facebook page. All entrants MUST also subscribe to the Nikon Newsletter (click here to subscribe). Entrants must follow ALL the steps mentioned above to qualify for the prize. The organisers’ decision regarding any matter concerning the competition and/or arising out of these terms and conditions, including the determination of the winner, is final and no correspondence will be entered into. The organizers or their agents will not be held responsible for any disputes arising from the competition or prize awards. By entering the competition, entrants give Nikon in South Africa the right to use their “Happy 100th Anniversary” message on any of the Nikon South Africa social media platforms. Please note: No explicit images/videos, images/videos portraying racism or any offensive images/videos will be tolerated. Any “Happy 100th Anniversary” message not complying with these terms will be reported on Facebook, deleted and automatically be disqualified.